As our initial “latest news” article was getting too long, and as this event will certainly continue to add more news, we have decided to start another “latest news 2” article. Besides the most important earthquake data, also breaking news will be posted here. The most recent news will be on top of this page. Earthquake-Report.com has been continuously publishing breaking news on this Earthquake / Tsunami starting minutes after the earthquake occurred. Read the “Latest News 1” article by clicking here. First VIDEO footage of the Mentawai islands. Only some of the dead bodies have been buried by their families. Around 20 bodies were seen being buried after a SAR (Search and rescue) team discovered them on Wednesday. He said the burial took place in a simple ceremony at a family cemetary. More bodies were not yet buried or even evacuated as the SAR team was not big enough. A lot of bodies at swamps were not yet evacuated. 77 people had been seriously injured. The toll from a tsunami which smashed into Indonesia rose sharply past 270 on Wednesday as rescuers reached the remote islands hit hardest by the disaster and found scenes of devastation. At least 10 villages were flattened when the tsunami triggered by a 7.7-magnitude offshore earthquake pounded the Mentawai islands late Monday off the west coast of Sumatra. “We’ve recovered 272 bodies. At least 412 people are still missing,” West Sumatra provincial disaster management official Ade Edward told AFP. Survivors said they had no warning that the three-metre (10-foot) wave was bearing down on the Mentawais, a popular destination for foreign surfers but otherwise a poor and neglected outpost in the vast Indonesian archipelago. Borinte, 32, a farmer from Detumonga village on the coast of North Pagai island, said he managed to stay alive by clasping to a piece of wood. His wife and three children were killed. “About 10 minutes after the quake we heard a loud, thunderous sound. We went outside and saw the wave coming. We tried to run away to higher ground but the wave was much quicker than us,” he told AFP. The Mentawai – Pagai islands earthquake number of victims will normally be higher than 500, Earthquake-Report.com predicts. The first 24 to 36 hours one could have hoped that people would have fled into the jungle to be safe for other tsunamis, but after 2 days this hope is fading away every hour that passes. Those counted as missing will probably have been swallowed by the sea or would have been ejected into the jungle. Earthquake-Report.com fears that missing people in this case means more victims. We truly hope that we are totally wrong, but we fear for the worst scenario. Reuters just reported that the death toll from Monday’s tsunami that struck remote islands in Indonesia’s Sumatra province has risen to at least 282 people, and another 411 are still missing. 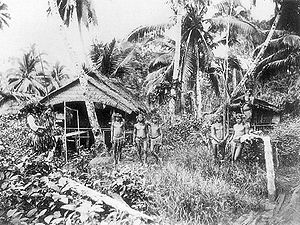 Unfortunately we have not yet seen any video footage on the October 25 Mentawai / Pagai tsunami or the damage on the scene. More than 2 days after the tsunami struck, the available information is very limited. 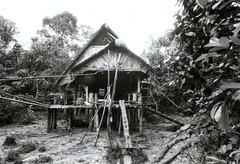 Although the Mentawai islands were at high risk during recent years, none or very limited precaution measures were present in North and South Pagai. 2 massive earthquakes, a Magnitude 8.5 on September 12 2007 (see detailed report) claiming the lives of 25 people , and a Magnitude 7.5 on September 30, 2009 where 1,117 people were killed, should have been a warning that more heavy tremors might be possible. VIVAnews, a well informed local news source in Indonesia, is reporting that number of confirmed casualties reaches more than 200. They changed their records after they had a phone call with Mr. Joskamatir, Chairman of the Disaster Management Agency of the Pagai Islands. Other information of the 10:02 update from VIVAnews is still correct. Navy ships packed with medicine and food and rescuers in helicopters headed on Wednesday to remote Indonesian islands that were pounded by a 10-foot tsunami, sweeping away villages and killing at least 154 people. Rough seas and bad weather (… ER) have hampered relief operations, leaving villagers to fend for themselves for nearly two days. With not enough people to dig graves, corpses littered beaches and roads, according to district chief, Edison Salelo Baja. Fisherman were scouring waters in search of survivors. The fault line that ruptured Monday on Sumatra island’s coast also caused the 2004 quake and monster Indian Ocean tsunami that killed 230,000 people in a dozen countries. VIVAnews, a well informed local news source in Indonesia just published new information on the Mentawai / Pagai tsunami. Although there are conflicting numbers depending on the source, the Regional Disaster Management Agency (BPBD) just reported 166 people confirmed killed by the tsunamis. Hamlet Munte village had a dead toll of 58 people so far. Dusun Malakopak claimed 56 lives. Other villages which have been hard hit by the tsunami were Dusun Silabu, Munte Baru Baru, Malakopak and Betumonga. 70 injured people are currently hospitalized in Sikupap. Aid teams made a plea for urgent additional help and medicines. Injured people are currently treated with primitive means in makeshift camps as most of their wooden and bamboo houses are destroyed. Bodies are net yet buried and have temporarily been covered for further action. This is the most complete report we could read so far. Xinhua news reports that the dead toll has gone up to 152 people confirmed killed by the Tsunami and 400 still missing. 15 people were reported as seriously injured. SAR teams have reported that 3 elementary schools, one junior high school, five worship houses and five bridges as well as 291 houses were destroyed. This is only a temporary report. Michele and I are deeply saddened by the loss of life, injuries, and damage that have occurred as a result of the recent earthquake and tsunami in West Sumatra. At the same time, I am heartened and encouraged by the remarkable resiliency of the Indonesian people and the commitment of their Government to rapidly assist the victims. As a friend of Indonesia, the United States stands ready to help in any way. 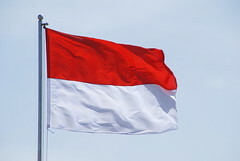 Meanwhile, our thoughts and prayers are with the Indonesian people and all those affected by this tragedy. Indonesian Vice President Boediono on Wednesday urged for priority on tsunami refugees in Mentawai Islands of West Sumatera province, detikcom online news reported. West Sumatra is really prone area of earthquake as a year ago the same incident struck the province. Therefore, it needs a very concrete alertness, he said, adding that the refugees must be handled first. On September 21, 2007, an 8.4 earthquake struck Sumatra near South Pagai Island, producing a cluster of six small new islands, and enlarging others by uplift. Why have the authorities not learned from the 2007 earthquake ? Although the time lapse of the wave striking the islands was only 15 minutes after the earthquake, a fast detection system might have saved the lives of many people. Wave height estimates from calculated models have been proved to underestimate the wave heights. GDACS ( a great alert system) gave wave heights up to 50 cm. The Indonesian government called immediately a Tsunami alert, but the big question remains : Do the systems reach also remote travel resorts and small fishing villages. A lot of questions to be answered in the aftermath of this earthquake and Tsunami. So far not enough witness reports have been collected to create a good picture of all the realtime facts. Filed under: Aftershocks, Damaging earthquakes, Dangerous earthquakes, Deadly Quakes, Earthquakes with injured people, M +5 quakes, M +6 quakes, M +7 quakes, Minor earthquakes, Tsunami | Tagged: Indonesia Tsunamis, North Pagai, October 26 2010 earthquake, South Pagai, Sumatra earthquakes, Tsunami North Pagai, Tsunami South Pagai |	Comments Off on South Pagai struck by and even bigger earthquake in 2007 – no lessons learned ?